West Seattle is best known for its popular beachfronts. With 2.4 miles of beautifully primed shoreline of the Kitsap peninsula, bikini-clad swimmers happily run towards the calm blue waters of Puget Sound. Everyone enjoys the ocean with the magnificent view of the Olympic Mountains looming from not a far off. Yachting clubs have sprung into existence over the years. 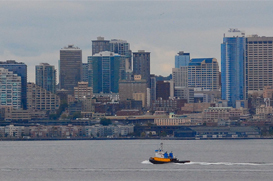 In addition, West Seattle residents have a soft spot for the ocean in their hearts. Among many things, boating and kayaking have become a must for visitors to truly enjoy their stay. The experience captivates the adventurous nature of each and every one of us. Aside from beautiful and enticing beaches, West Seattle also boasts of walking areas and parks. There are the Me-Kwa-Mooks Park, Emma Schmitz Overlook, and Lincoln Park, to name a few. These parks are great for having one of your solo walks or holding family picnics. Whatever activity you may have in mind, West Seattle really does it all. For a quick history trivia, West Seattle is the place where the explorers first set foot, after months of voyage at the sea. Each year, tourists flock to this side of the city to witness the reenactment of the 1851 landing at Alki Beach. The landers are known as the Denny Party. These and many more, wait to be explored in West Seattle.